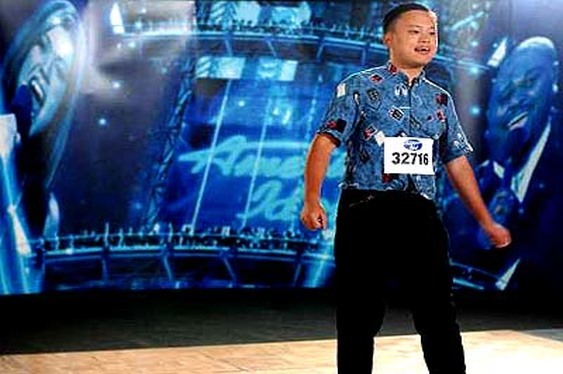 Over in Europe we've had our fair share of tone deaf contestants on shows such as the X Factor and Pop Idol, but few are able to hold a candle to America's William Hung. The aspiring singer famously auditioned for the American Idol a few years ago and performed a now legendary rendition of Ricky Martin's She Bangs. The brief moment in front of the camera earned him a certain degree of notoriety across the US; however, instead of parlaying that "fame" into a career on reality TV (something that would probably happen in the UK), Hung has decided to start crushing poker tournaments in the Aria. In between his job as a police officer, Hung has been playing tournaments in Vegas with his latest outing coming last week in the Aria's daily $125 event. Playing alongside the likes of Robert Williamson III, Hung managed to hit a high note and take down the event for $2,264 after beating Ferry Helwig heads-up. Could the migration of reality TV rejects to poker become a new trend? As long as they don't sing then we hope so.